I am very pleased share with you that Pembina Trails Library will be receiving some much needed upgrades starting May 5th! 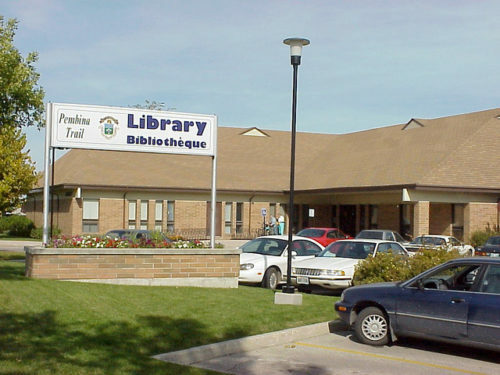 The Pembina Trail Library at 2724 Pembina Highway will close on May 5th for approximately 3 months for much needed renovations this spring as the building is now 30 years old. Library service for Pembina Trail borrowers is available at Louis Riel Library and Fort Garry Library during the anticipated 3-month closure period. Holds will be sent to the Fort Garry Library,1360 Pembina Hwy, during the closure. The Pembina Trail book return will be closed. Items can be returned to any other branch of the Winnipeg Public Library. ALSO – outside the library, a new bike parking and tool hub will be installed. Parking racks, an air pump, tools and more will be installed! Construction will be an inconvenience, but the upgrades are needed!